Citation: Quantum 1, 2 (2017). The surface code is one of the most successful approaches to topological quantum error-correction. It boasts the smallest known syndrome extraction circuits and correspondingly largest thresholds. Defect-based logical encodings of a new variety called twists have made it possible to implement the full Clifford group without state distillation. Here we investigate a patch-based encoding involving a modified twist. In our modified formulation, the resulting codes, called triangle codes for the shape of their planar layout, have only weight-four checks and relatively simple syndrome extraction circuits that maintain a high, near surface-code-level threshold. They also use 25% fewer physical qubits per logical qubit than the surface code. Moreover, benefiting from the twist, we can implement all Clifford gates by lattice surgery without the need for state distillation. By a surgical transformation to the surface code, we also develop a scheme of doing all Clifford gates on surface code patches in an atypical planar layout, though with less qubit efficiency than the triangle code. Finally, we remark that logical qubits encoded in triangle codes are naturally amenable to logical tomography, and the smallest triangle code can demonstrate high-pseudothreshold fault-tolerance to depolarizing noise using just 13 physical qubits. Featured image: The distance 7 triangle code uses 37 qubits (black dots) with Z-type stabilizer plaquettes (blue), X-type plaquettes (red), and mixed-type plaquettes (half-blue, half-red). Overlaid on the code are arrows indicating the order in which ancillas (gray) couple to the data to extract the syndrome. Sergey B Bravyi and A Yu Kitaev. 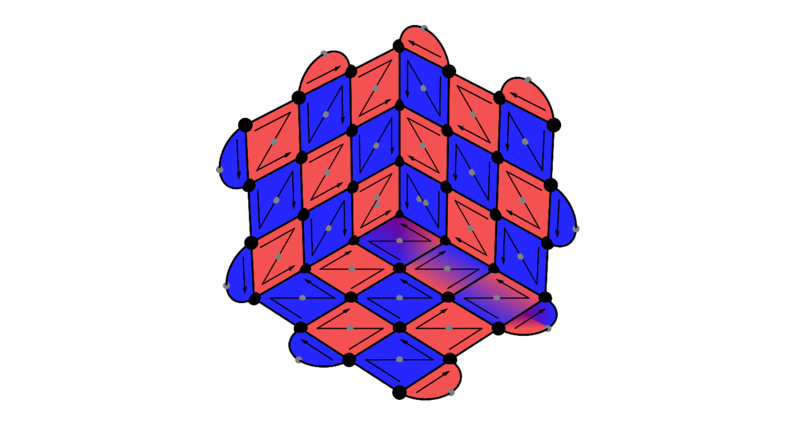 Quantum codes on a lattice with boundary. quant-ph/​9811052, 1998. Eric Dennis, Alexei Kitaev, Andrew Landahl, and John Preskill. Topological quantum memory. Journal of Mathematical Physics, 43 (9): 4452-4505, 2002. 10.1063/​1.1499754. Austin G Fowler, Matteo Mariantoni, John M Martinis, and Andrew N Cleland. Surface codes: Towards practical large-scale quantum computation. Physical Review A, 86 (3): 032324, 2012. 10.1103/​PhysRevA.86.032324. Dorit Aharonov and Lior Eldar. On the complexity of commuting local Hamiltonians, and tight conditions for topological order in such systems. In Foundations of Computer Science (FOCS), 2011 IEEE 52nd Annual Symposium on, pages 334-343. IEEE, 2011. 10.1109/​FOCS.2011.58. Yu Tomita and Krysta M Svore. Low-distance surface codes under realistic quantum noise. Physical Review A, 90 (6): 062320, 2014. 10.1103/​PhysRevA.90.062320. David S Wang, Austin G Fowler, and Lloyd CL Hollenberg. 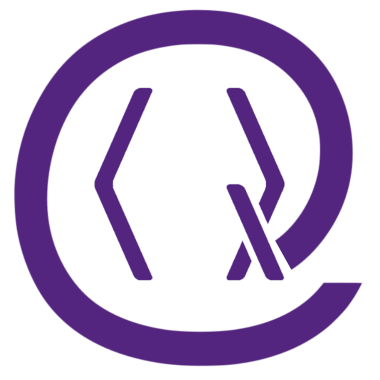 Surface code quantum computing with error rates over 1%. Physical Review A, 83 (2): 020302, 2011. 10.1103/​PhysRevA.83.020302. Adrian Hutter, James R Wootton, and Daniel Loss. Efficient Markov chain Monte Carlo algorithm for the surface code. Physical Review A, 89 (2): 022326, 2014. 10.1103/​PhysRevA.89.022326. Sergey Bravyi, Martin Suchara, and Alexander Vargo. Efficient algorithms for maximum likelihood decoding in the surface code. Physical Review A, 90 (3): 032326, 2014. 10.1103/​PhysRevA.90.032326. James R Wootton and Daniel Loss. High threshold error correction for the surface code. Physical Review Letters, 109 (16): 160503, 2012. 10.1103/​PhysRevLett.109.160503. Austin G Fowler and Simon J Devitt. A bridge to lower overhead quantum computation. arXiv:1209.0510, 2012. Héctor Bombín. Topological subsystem codes. Physical Review A, 81 (3): 032301, 2010a. 10.1103/​PhysRevA.81.032301. Sergey Bravyi, Guillaume Duclos-Cianci, David Poulin, and Martin Suchara. Subsystem surface codes with three-qubit check operators. Quantum Information & Computation, 13 (11-12): 963-985, 2013. Héctor Bombín and Miguel Angel Martin-Delgado. Topological quantum distillation. Physical Review Letters, 97 (18): 180501, 2006. 10.1103/​PhysRevLett.97.180501. Héctor Bombín. Gauge color codes: optimal transversal gates and gauge fixing in topological stabilizer codes. New Journal of Physics, 17 (8): 083002, 2015. 10.1088/​1367-2630/​17/​8/​083002. Aleksander Kubica and Michael E Beverland. Universal transversal gates with color codes: A simplified approach. Physical Review A, 91 (3): 032330, 2015. 10.1103/​PhysRevA.91.032330. Andrew J Landahl and Ciaran Ryan-Anderson. Quantum computing by color-code lattice surgery. arXiv:1407.5103, 2014. Robert Raussendorf and Jim Harrington. Fault-tolerant quantum computation with high threshold in two dimensions. Physical Review Letters, 98 (19): 190504, 2007. 10.1103/​PhysRevLett.98.190504. H Bombin and MA Martin-Delgado. Quantum measurements and gates by code deformation. Journal of Physics A: Mathematical and Theoretical, 42 (9): 095302, 2009. 10.1088/​1751-8113/​42/​9/​095302. Sergey Bravyi and Alexei Kitaev. Universal quantum computation with ideal clifford gates and noisy ancillas. Physical Review A, 71 (2): 022316, 2005. 10.1103/​PhysRevA.71.022316. Austin G Fowler, Simon J Devitt, and Cody Jones. Surface code implementation of block code state distillation. Scientific reports, 3, 2013. 10.1038/​srep01939. Austin G Fowler, Ashley M Stephens, and Peter Groszkowski. High-threshold universal quantum computation on the surface code. Physical Review A, 80 (5): 052312, 2009. 10.1103/​PhysRevA.80.052312. Austin G Fowler. Time-optimal quantum computation. arXiv:1210.4626, 2012. Héctor Bombín. Topological order with a twist: Ising anyons from an Abelian model. Physical Review Letters, 105 (3): 030403, 2010b. 10.1103/​PhysRevLett.105.030403. Matthew B Hastings and A Geller. Reduced space-time and time costs using dislocation codes and arbitrary ancillas. Quantum Information & Computation, 15 (11-12): 962-986, 2015. A. R. Calderbank and Peter W. Shor. Good quantum error-correcting codes exist. Phys. Rev. A, 54: 1098-1105, 1996. 10.1103/​PhysRevA.54.1098. Andrew M Steane. Error correcting codes in quantum theory. Phys. Rev. Lett., 77 (5): 793, 1996. 10.1103/​PhysRevLett.77.793. Benjamin J Brown, Katharina Laubscher, Markus S Kesselring, and James R Wootton. Poking holes and cutting corners to achieve Clifford gates with the surface code. arXiv:1609.04673, 2016. H Bombin and MA Martin-Delgado. Optimal resources for topological two-dimensional stabilizer codes: Comparative study. Physical Review A, 76 (1): 012305, 2007. 10.1103/​PhysRevA.76.012305. Daniel Gottesman and Isaac L Chuang. Demonstrating the viability of universal quantum computation using teleportation and single-qubit operations. Nature, 402 (6760): 390-393, 1999. 10.1038/​46503. Peter W Shor. Fault-tolerant quantum computation. In Foundations of Computer Science, 1996. Proceedings., 37th Annual Symposium on, pages 56-65. IEEE, 1996. 10.1109/​SFCS.1996.548464. Peter Brooks and John Preskill. Fault-tolerant quantum computation with asymmetric Bacon-Shor codes. Physical Review A, 87 (3): 032310, 2013. 10.1103/​PhysRevA.87.032310. Jonathan E Moussa. Transversal clifford gates on folded surface codes. Physical Review A, 94 (4): 042316, 2016. 10.1103/​PhysRevA.94.042316. Andrew W Cross. personal communication. Panos Aliferis, Daniel Gottesman, and John Preskill. Quantum accuracy threshold for concatenated distance-3 codes. Quantum Information & Computation, 6 (2): 97-165, 2006. Krysta M Svore, Andrew W Cross, Isaac L Chuang, and Alfred V Aho. A flow-map model for analyzing pseudothresholds in fault-tolerant quantum computing. Quantum Information & Computation, 6 (3): 193-212, 2006. Daniel Gottesman. Quantum fault tolerance in small experiments. arXiv preprint arXiv:1610.03507, 2016. Andrew W Cross, David P Divincenzo, and Barbara M Terhal. A comparative code study for quantum fault tolerance. Quantum Information & Computation, 9 (7): 541-572, 2009. Emanuel Knill. Quantum computing with realistically noisy devices. Nature, 434 (7029): 39-44, 2005. 10.1038/​nature03350. Charles H Bennett, David P DiVincenzo, John A Smolin, and William K Wootters. Mixed-state entanglement and quantum error correction. Physical Review A, 54 (5): 3824, 1996. 10.1103/​PhysRevA.54.3824. Raymond Laflamme, Cesar Miquel, Juan Pablo Paz, and Wojciech Hubert Zurek. Perfect quantum error correcting code. Physical Review Letters, 77 (1): 198, 1996. 10.1103/​PhysRevLett.77.198. David P DiVincenzo and Panos Aliferis. Effective fault-tolerant quantum computation with slow measurements. Physical Review Letters, 98 (2): 020501, 2007. 10.1103/​PhysRevLett.98.020501. Ashley M Stephens. Efficient fault-tolerant decoding of topological color codes. arXiv preprint arXiv:1402.3037, 2014. Panos Aliferis and Andrew W Cross. Subsystem fault tolerance with the Bacon-Shor code. Physical Review Letters, 98 (22): 220502, 2007. 10.1103/​PhysRevLett.98.220502. Ben W. Reichardt, "Fault-tolerant quantum error correction for Steane's seven-qubit color code with few or no extra qubits", arXiv:1804.06995 (2018). T. E. O'Brien, B. Tarasinski, and L. DiCarlo, "Density-matrix simulation of small surface codes under current and projected experimental noise", npj Quantum Information 3, 39 (2017). Rui Chao and Ben W. Reichardt, "Quantum Error Correction with Only Two Extra Qubits", Physical Review Letters 121 5, 050502 (2018). Daniel Herr, Alexandru Paler, Simon J Devitt, and Franco Nori, "Lattice surgery on the Raussendorf lattice", Quantum Science and Technology 3 3, 035011 (2018). Colin J Trout, Muyuan Li, Mauricio Gutiérrez, Yukai Wu, Sheng-Tao Wang, Luming Duan, and Kenneth R Brown, "Simulating the performance of a distance-3 surface code in a linear ion trap", New Journal of Physics 20 4, 043038 (2018). Daniel Litinski and Felix von Oppen, "Lattice Surgery with a Twist: Simplifying Clifford Gates of Surface Codes", Quantum 2, 62 (2018). Daniel Litinski and Felix von Oppen, "Quantum computing with Majorana fermion codes", Physical Review B 97 20, 205404 (2018). Daniel C. Murphy and Kenneth R. Brown, "Controlling error orientation to improve quantum algorithm success rates", Physical Review A 99 3, 032318 (2019). Benjamin J. Brown, Katharina Laubscher, Markus S. Kesselring, and James R. Wootton, "Poking Holes and Cutting Corners to Achieve Clifford Gates with the Surface Code", Physical Review X 7 2, 021029 (2017). Ali Lavasani and Maissam Barkeshli, "Low overhead Clifford gates from joint measurements in surface, color, and hyperbolic codes", Physical Review A 98 5, 052319 (2018). Christopher Chamberland and Michael E. Beverland, "Flag fault-tolerant error correction with arbitrary distance codes", Quantum 2, 53 (2018). Daniel Litinski and Felix von Oppen, "Braiding by Majorana tracking and long-range CNOT gates with color codes", Physical Review B 96 20, 205413 (2017). Maika Takita, Andrew W. Cross, A. D. Córcoles, Jerry M. Chow, and Jay M. Gambetta, "Experimental Demonstration of Fault-Tolerant State Preparation with Superconducting Qubits", Physical Review Letters 119 18, 180501 (2017). Muyuan Li, Daniel Miller, and Kenneth R. Brown, "Direct measurement of Bacon-Shor code stabilizers", Physical Review A 98 5, 050301 (2018). Laxmidhar Biswal, Anirban Bhattacharjee, Rakesh Das, Gopinath Thirunavukarasu, and Hafizur Rahaman, Communications in Computer and Information Science 892, 606 (2019) ISBN:978-981-13-5949-1. Muyuan Li, Mauricio Gutiérrez, Stanley E. David, Alonzo Hernandez, and Kenneth R. Brown, "Fault tolerance with bare ancillary qubits for a [[7,1,3]] code", Physical Review A 96 3, 032341 (2017). Markus S. Kesselring, Fernando Pastawski, Jens Eisert, and Benjamin J. Brown, "The boundaries and twist defects of the color code and their applications to topological quantum computation", Quantum 2, 101 (2018). Eduardo Brandani da Silva and Waldir S Soares, "Construction of color codes from polygons", Journal of Physics Communications 2 9, 095011 (2018). Laxmidhar Biswal, Rakesh Das, Chandan Bandyopadhyay, Anupam Chattopadhyay, and Hafizur Rahaman, "A template-based technique for efficient Clifford+T-based quantum circuit implementation", Microelectronics Journal 81, 58 (2018). Ryuji Takagi, Theodore J. Yoder, and Isaac L. Chuang, "Error rates and resource overheads of encoded three-qubit gates", Physical Review A 96 4, 042302 (2017). The above citations are from Crossref's cited-by service (last updated 2019-04-25 10:32:38) and SAO/NASA ADS (last updated 2019-04-25 10:32:39). The list may be incomplete as not all publishers provide suitable and complete citation data.